Debra Knox was founder and co-leader of the Fun Addicts, and wrote a large share of the bands material. 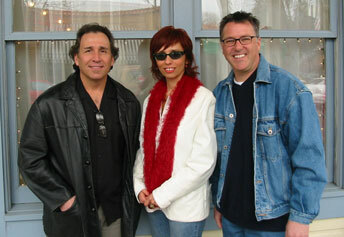 She currently lives in the East Bay town of Pleasanton and continues to perform in the area. John Bryant was the other founder of the Fun Addicts and wrote most of the bands popular "Beatle-ish" tunes. John grew up in the East Bay town of Dublin, and currently lives in the wine producing region of the Livermore Valley. To this day, John continues to write and record, and his current band can be heard "live" every Wednesday night in his garage. 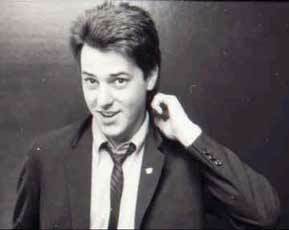 Rick Clare was a member of the first East Bay punk band the Street Punks, as well as the popular San Francisco pop band Times 5. After the demise of the Fun Addicts, Rick formed Language Arts with former members of Times 5, but in the late 1980's gave up the volatile rock 'n roll lifestyle to finish college at CSUH and focus on his career as a Software Developer. Rick currently lives in Danville, CA, with is wife and two young sons. Mike Bordin was the fourth and final drummer for the Fun Addicts and was Mike's first working band while attending UC Berkeley where he earned a degree in English literature. Mike went on to form the hugely popular Bay Area band, Faith No More, and has toured with Ozzy Osbourne and Black Sabbath. Mike currently lives with his wife and two daughters in San Francisco. 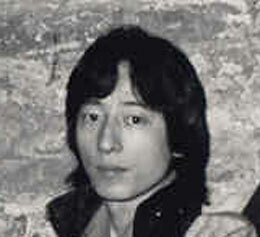 Shigemi Komiyama was the second drummer for the Fun Addicts, and his rock-solid drumming can be heard on all studio tracks recorded at the Automat in San Francisco. Today Shigemi lives in San Francisco and plays in the surf band, Meshugga Beach Party. Hey there Fun Addicts fans, it's been a while since our last update. Now posted on this site is a live recording of the Fun Addicts at The Stone in San Fancisco in early to mid -1981. This particular show was a KSAN sponsered "Rising Stars of San Francisco" gig and featured Romeo Void, The Fun Addicts and SVT. Now posted on this site is another new Fun Addicts recording, and as indicated in the previous post, it was recorded by two members of the quartet, John Bryant and Rick Clare. The Bryant composition, "Look What You've Done", was recorded at Rick Clare's home studio in Danville, California. The basic tracks were recorded in March 2009 and the remainder of the song was recorded and completed in November. Now posted on this site is the first Fun Addicts recording in 26 years, and was recorded by two members of the quartet, John Bryant and Rick Clare. The Bryant composition is entitled "Vacation", and was recorded at Rick Clare's home studio in Danville, California, in March 2009. The song features John Bryant on acoustic guitar and lead vocals, and Rick Clare on electric guitars, bass, drums, sitar, and mellotron. The song was engineered and produced by Rick Clare. Enjoy. Old beer drinking buddies, Rick Clare and John Bryant got together at Rick's home studio in Danville to talk music, the Fun Addicts, home recording, family, cars, and life in general. Most importantly they played guitars and recorded a few of John's old/new songs for a possible future, virtual collaboration...stay tuned. Debra Knox is now playing lead guitar for San Francisco band, The B-cups. More info about the band can be found at, www.b-cups.com and www.myspace.com/bcups. Debra Knox will be hosting a music day at Brainwash in S.F. from 4:00-9:00 PM on May 23. Debra Knox will be performing solo on March 20 at the Panama Bay Coffee House, in Livermore. Former Fun Addicts bandmates Rick Clare and Mike Bordin met for lunch and reminisced about their days playing as side musicians in the Fun Addicts. Mike just came off the road with Ozzy Osbourne where they just completed a U.S. tour. Mike has been Ozzy's drummer now for 8 years running - Mike was also a founding member of the hugely popular band, Faith No More. Debra Knox and Rick Clare met at Debra's house to exchange pleasantries, and to more importantly complete a transaction. Debra sold Rick her Rickenbacker 360/12 electric guitar. After some minor neck adjustments and intonation tuning, Rick immediately put the guitar to work on a Times 5 recording of No Reaction, now available for download at www.times5.net. Rick Clare and his former Times 5 bandmates, Walt Jachec and Dave Nelson, assembled at Rick Clare's home studio on July 19, 2003 and recorded the Times 5 opener, No Reaction. Featured on the recording is The Soft's Julien Morris on Hofner bass. The song is currently available for download at www.times5.net. Debra Knox's current CD, Waiting For You, is now available at www.cdbaby.com. Debra Knox's current CD, Waiting For You, is now available at Tower Records in San Francisco, Dublin, and Concord, as well as Amoeba Records in Berkeley. Debra Knox and her band will be performing on July 26 at The Bistro, corner of B and Main Street in Hayward. Debra Knox and her band will be performing on April 11 and May 9 at 9:30 pm at Brainwash, 1122 Folsom Street, San Francisco. Debra will be performing tracks from her most recent CD, "Waiting For You". 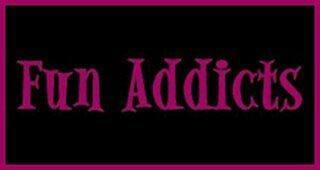 Rick Clare begain the process of transferring all Fun Addicts demos (a few obtained from John Bryant) to MP3 format. And by the way, they sound great! In late March, 2002, Rick Clare began the process of tracking down former members of Fun Addicts in an effort to celebrate the band's rise and fall over 20 years ago. John Bryant was successfully contacted and is in good health and doing fine. All materials ©1980-2019 by Rick Clare and Fun Addicts unless where noted. "You Don't Care", "Brainwash" ©1981 Golden Melodies-BMI.